The first year of teaching is intense. From that day in the summer when you begin wondering if it's OK to call your assistant principal and request to get into your classroom, to the exhausted finale when you tearfully say goodbye to your students, so much of YOU goes into your work. While the ups and downs were of rollercoaster quality, I still think my first year of teaching was one of my best, and I bet yours will be too. You have so much to offer - not just a passion for the profession and all the strategies you have been studying for years, but also the ability to connect with students closely. After all, you were just a student, and you will recognize yourself in them more in your first years than later on. Everything I talk about on this website and in this podcast can apply to your work in the classroom, my friend, no creative strategy is out of your reach. But in this podcast episode, I wanted to narrow specifically in on some of the small tweaks you can make in the first year that will make your overall experience as a teacher a little easier. 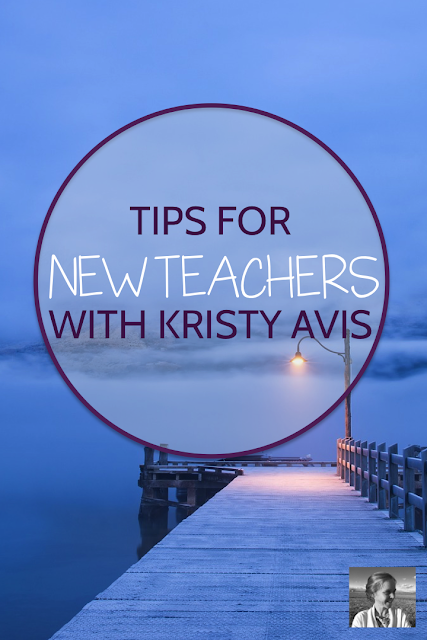 I invited Kristy Avis to share her ideas with you because I like her proactive approach to the first year, and I think you will too. Her advice to find a mentor, build clear routines into your classroom, avoid faculty drama, find time for exercise, give yourself easy classroom wins when you are overwhelmed, and never stop believing in your ideas and sharing them in team meetings, all resonate with me. 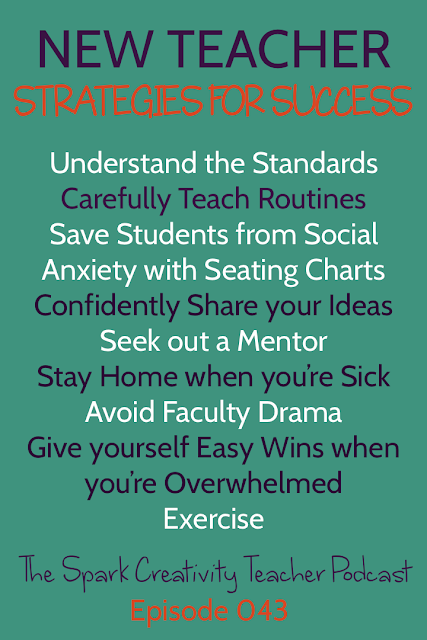 Whether you're a new teacher or not, I think you will find some helpful ideas in making this year less stressful, more structured, and more positive in this interview. You can listen below, or on iTunes, Blubrry, or Stitcher. Or read on for the written highlights. 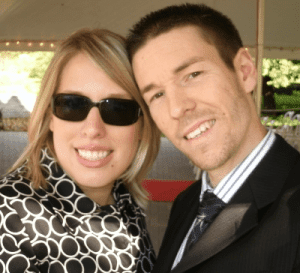 In case you're not in the mood to listen, I've outlined Kristy's main points below. Bottom line, this episode is about small things you can do to create a smoother and more positive year for yourself. Dive in below for more details. Become very fluent in what your students really need to learn, based on the standards or main curriculum elements that have been given to you. 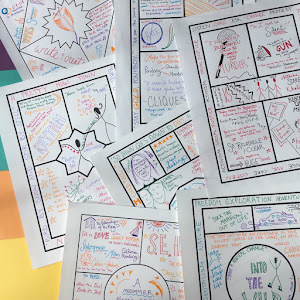 You will feel confident in designing your lessons when you really know what students need to know when they leave your classroom, says Kristy. Explicitly teach the routines that matter to you in the first few weeks of school. 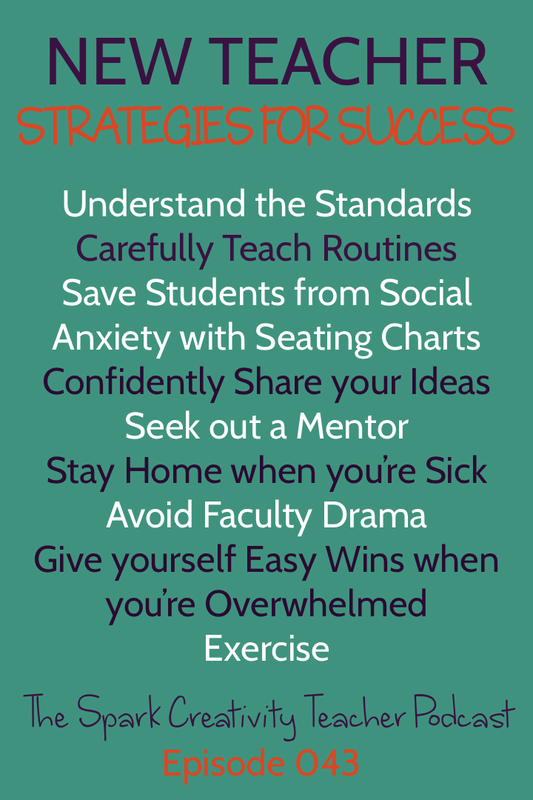 It's easy to think these things will just fall into place, but if classroom management is an issue at all in your school, it's helpful to really lay out what you want students to do in different situations. Seating charts can help with learning names early on. They can also help you make sure you give preferential seating as required for students with an IEP. 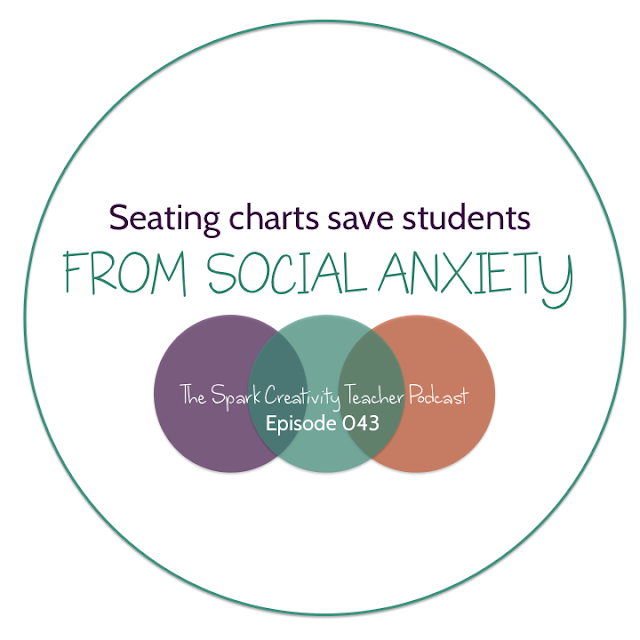 It also, vitally, helps you and your students avoid the social angst that can come with the old "where to sit?" question. Using seating charts at least some of the time can give your classroom a little more structure and security for everyone. A mentorship program is ideal, but if you don't have a strong link with the mentor assigned to you or your school doesn't have one, look for someone in your building that you admire. Reach out to veterans and ask for help and advice. Or pop into a Facebook group or into the Instagram teacher community to find mentorship and support. When you're sick, stay home! Prepare some sub plans in a clearly labeled binder that you can keep in your room so that if you are unexpectedly sick you can just e-mail in for someone to pull one of those plans and teach it. If you come to work sick, you are likely to get sicker (and maybe give everyone in your class your illness). Practice changing the subject when a conversation gets negative. Avoid the zones where negativity is breeding - certain times by the photocopier, certain lunch hangouts, etc. Just steer clear of the drama! Write out all the things you feel you need to get to, then you can stop carrying it all in your head and worrying that you might forget something. Cross things off as you finish them. Then choose an easy win for class, an engaging lesson that is low stress for you and highly interesting for the students. When you choose something that's relaxing for you, you can have some calm time in class and don't end up with a fresh bunch of grading. Exercise! Find the time, because it makes a huge difference. It doesn't matter what you do, just carve out those few minutes a day or a week to focus on your own health and happiness. Kristy just finished her eleventh year teaching middle school ELA students in Canada. She co-hosts a popular Twitter chat and Facebook group called "2ndary ELA," runs the blog "2 Peas and a Dog," and of course, finds time to play with her three dogs. Looking for a little boost when it comes to your planning this year? I made you something! 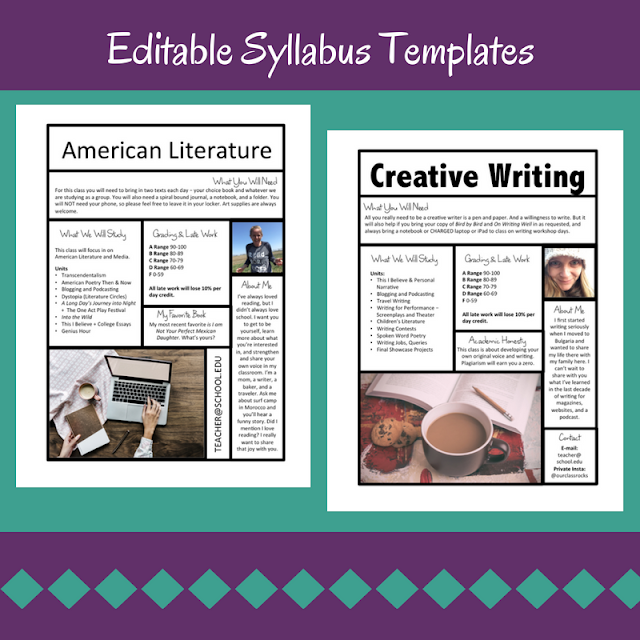 Simplify the syllabus creation process with these fun editable syllabus templates. The categories and layout are all set, just adjust the type inside each box and add your own photo and you are good to go. You can sign up to receive them and join my e-mail newsletter below, and I hope you do. Then you can put your time in August into things like genius hour, launching an independent reading program, or designing your first escape room or murder mystery class.